Affected people have taken growing numbers of disputes to the DFIs’ complaint mechanisms. In a recent landmark judgment, the United States Supreme Court found that the International Finance Corporation – the World Bank’s private sector arm – is not protected by sovereign immunity when sued over the alleged impacts of its commercial lending. Now more than ever, DFIs should very carefully scrutinise proposed projects and ensure environmental and social (ES) issues are properly addressed throughout project implementation. The DFIs’ ES systems tend to rely on the Performance Standards of the International Finance Corporation. These are widely considered “best practice” in private sector investments. But they do not fully align with international instruments on land governance, such as the UN Tenure Guidelines. Some such differences reflect the different nature of the two instruments. But they also raise questions as to whether prevailing ES standards fully reflect the latest thinking and policy consensus on land rights. 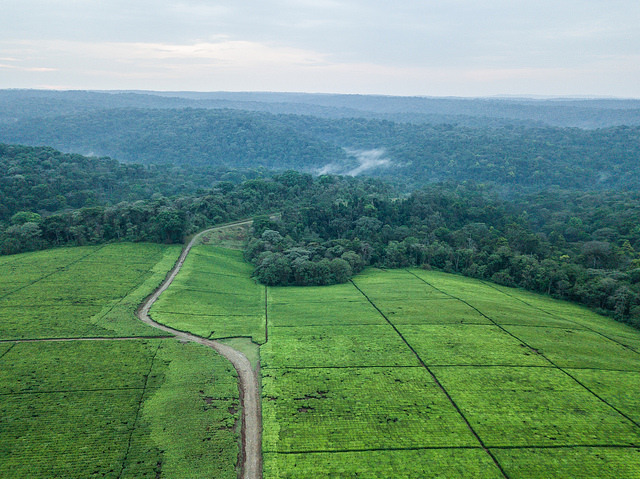 In practice, the DFIs that participated in the review have developed sophisticated ES systems that cover land rights issues, and they host growing teams of ES staff. Advances have been made despite the challenging contexts in which DFIs have been operating: ES teams must deal with several difficult issues, besides land rights, and DFIs are often pushed by their governments to finance private sector projects in ever more complex contexts. Increasing opportunities for public input into, and scrutiny of, DFI due diligence processes, including by the people who stand to be most directly affected by the proposed projects. Aligning due diligence with the fuller spectrum of land rights issues covered in the Tenure Guidelines. Developing approaches to assess and improve any partnerships clients establish with land rights holders. Creating arrangements to finance independent technical, legal and other support for affected people in their relations with DFI clients. Reviewing the contracts project developers may have signed with the host government or other parties to strengthen language that protects land rights. Increasing the transparency of investments by disclosing project contracts, including financing instruments. Taking systematic action to protect land rights defenders, including by assessing and monitoring risks and developing rapid response systems. Next week, hundreds of land rights specialists will attend the World Bank’s annual land and poverty conference. Besides its convening power, the World Bank is at the centre of the international DFI architecture. Will this year’s conference mark a tipping point on progressing the development finance and land rights agenda? Download the report Are development finance institutions equipped to address land rights issues? A stocktake of practice in agriculture.